Dot Net Framework 3.5 (Includes .Net 2.0 and 3.0) full version offline for your Windows 8.1 and Windows 10 all edition. Why Dot net framework required some apps into windows 10? I have seen much time when. Am going to install any program then; I Have usually seen an error message as like (“An apps on your Windows Pc Need the following Windows Feature.”Net Framework v3.5 (Includes .Net v2.0 and v3.0 ). 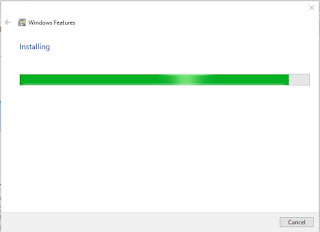 Also, check out Final Edition of Windows 10 Which is Windows 10 AIO RS3 Final ISO Free Download. So you can try to download the framework from the internet but sometimes it not compatible with your installed windows. So that’s the way you have wasted a lot of time to downloading and installing this program. Here am going to share with you a natural step that will help you to establish online from your windows control panel. So before this, you need to understand the given condition. I have found that nowadays almost all 3rd party apps and software require Microsoft Dot net or .NET Framework must be installed into your Windows 8/8.1 and also windows 10 operating system. The needed of dot net or .NET framework version might be different for your different software, and the most required dot .NET Framework version is 3.5 which comes preinstalled in Windows 7. So friends if you have to try to many time to downloading and installing into your system and all-time fail then you need to follow given below screenshot step and download it. If you are using Windows 8 or Windows 10 and face a problem while trying to run a program which requires .NET Framework 3.5 version. 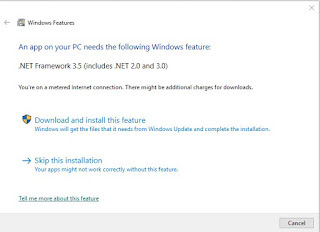 Windows 8 and Windows 10 doesn’t come with .NET Framework 3.5 version. It comes with the latest .NET Framework 4.5 version pre-installed. So just follow given below method and try to installed online into your windows with required files, not enormous file size. And save your time and data. 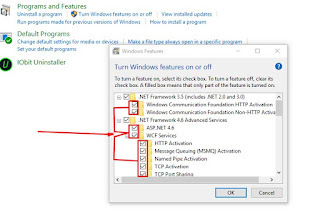 There are two different methods of installing dot net framework into your windows. First is when you try to install 3rd party apps and it’s required when you click on download and Installed this feature as given below screenshot. Method number 1 Installed framework when apps required. First, we will try to share when apps required the .net framework. When apps required, then you will see on the screen and now need to click on Download and Installed feature and follow given below method. 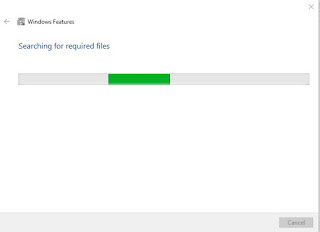 On the above screen, Windows Feature will be searched online for the Required file that needs to be this app that you are trying to install. On the above screenshot, you will try to download all the required files for your apps. 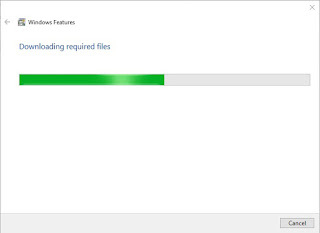 After full downloading of required files then the windows will be installing required feature files into your PC. 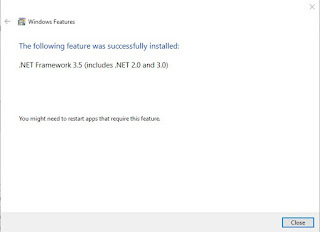 When Installing fulls then you will get a message that ” The following feature was successfully Installed.”Net Framework 3.5 Includes.Net 2.0 and 3.0 you might need to restart your apps that required this feature. Method number 2 for installing the framework from your control panel. 2nd installation method is going to Control PanelAll Control Panel Items and click on Programs Uninstall the program. 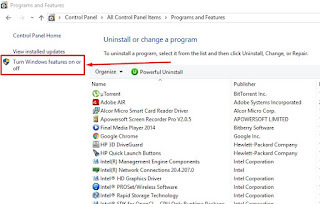 When you will click on Program uninstalled program then you will see given below screenshot. Now click on Turn on/off windows feature. Or directly just go to Control PanelAll Control Panel ItemsPrograms and The Features of and Click on Turn on Windows The Features of on/off as given below screenshot. Now you need to Select all checkboxes that are circled by red color and then Click on OK.
After click on ok you repeat 1st, 2nd, and 3rd screenshot method. 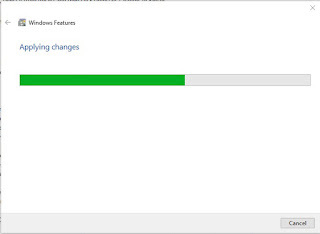 When downloading and installation will be full then windows will apply the changes on your Pc. Now you can run and play and types of apps on your windows. If you want to download this feature offline, then you need to click on given below links and download it.